and remember...you change 1 choice at a time! 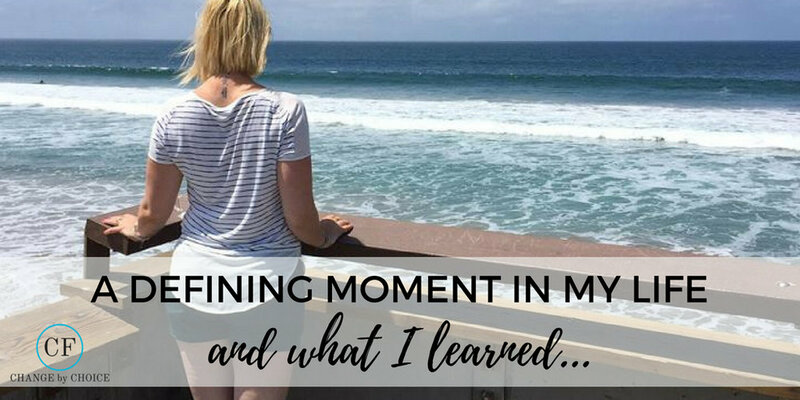 Let me share my experience with you…so that hopefully, you can apply the lessons to your own life, or use my bad experience to help you never have to go through it yourself. Lesson 1 – Everything connects. Lesson 2 – Courage is everything. Lesson 3 – How are you showing up for YOU? The majority of our lives is spent working and sleeping. If you are spending your life working in a place that is not aligned with the best of you, that makes you miserable and full of dread each day…give yourself a shake. You do not get that time back. I was in that position for a relatively short period of time, but had I not gotten fired, I could have been there a lot longer. And that’s the sad reality for many people; they lack the courage or the clarity to make the tough calls so they stay. Is it worth it? How is it affecting everything else in your life? Are you showing up for YOU and taking care of yourself? Lesson 4 – Let go of your pride. Charlotte Ferreux, from Castlegar, BC, Canada is passionate about helping others reach their highest potential. She has the ability to help her world-wide clients achieve transformational results based on her direct coaching style. She mixes in a fun, compassionate, yet challenging approach that gets to the root of the issue. Her innate strength is people. Outside of being a world-wide Certified High Performance Coach, she is the founder of Thrive Consulting. She specializes in helping businesses create a people-focused culture through the implementation of the right systems and processes and has her brand and podcast - Change by Choice. Charlotte has 20 years of valuable restaurant, retail, and operational experience focusing primarily in leadership development and senior management roles. Charlotte worked for Lululemon Athletica through the majority of their growth prior to and through their IPO (from 3 to over 100 stores). She was accountable for multi-million dollar regions while ensuring they had a strong people culture. Charlotte is the board VP of her local Chamber of Commerce and on the Community Futures Central Kootenay board of directors, where she is able to give back to the business communities. She also teaches spin classes at Oranj Fitness and has a strong background in health coaching, which is a huge asset to her coaching clients.